Minister for Trade and Industry Niall Blair has announced the visit this week of 11 NSW Trade and Investment Commissioners to meet with business and industry representatives in Sydney and across regional NSW to discuss the latest international business opportunities. These experts lead NSW market engagement in the key markets of Shanghai, China, Singapore, and India as part of the NSW Government's efforts to promote economic, trade and cultural growth. 'They are our experts on the ground to identify and develop international opportunities for NSW companies and our state as part of the NSW Government's efforts to grow our economy, trade and cultural links. On Monday the commissioners attended the Aerotropolis Investor Forum to promote international investment in the Western Sydney Airport. 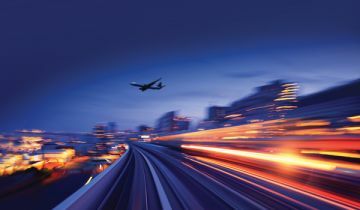 'The Aerotropolis Investor Forum showcased the significant investment opportunities that are available in the Aerotropolis and broader Western Sydney, Australia’s fastest growing region. 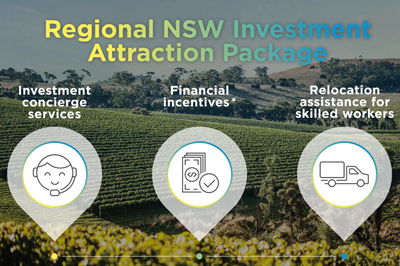 'The government’s drive to activate the potential in Western Sydney is unique – a once-in-a-generation investment – and we are doing things differently. We are working collaboratively across all three levels of government, we are building $20 billion of infrastructure up front, and we are working in partnership with the private sector from the start. 'The commissioners, who brought investors from NSW’s 10 priority international markets to attend the forum, are an important part of this international private sector engagement,' Mr Blair said. The commissioners have attended a number of other business and investment meetings in Sydney and will also visit regional NSW to meet with business leaders on the Central Coast, South Coast, Orange, Northern Rivers, Tamworth and Wagga Wagga. 'Our regions are home to many world class businesses – from food to high technology – with products and services that have great potential in global markets as well as industries that offer attractive investment prospects,' Mr Blair said.